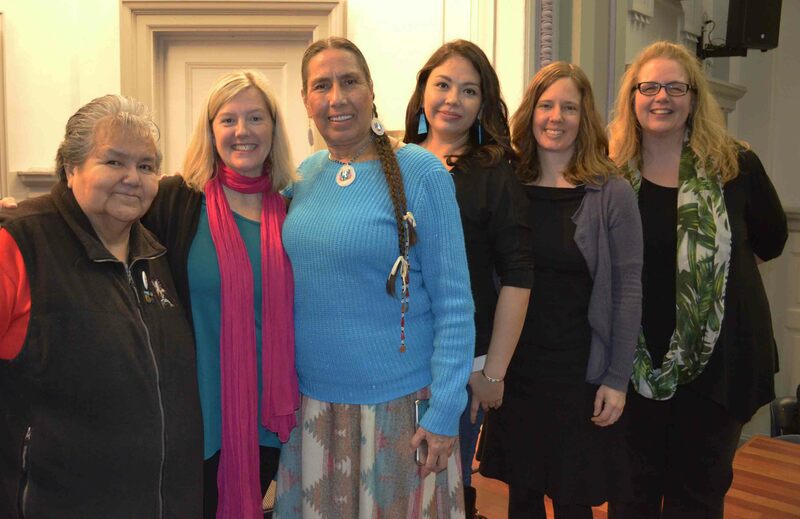 (L-R) Songhees Elder Joan Morris, Rachel Vincent, Casey Camp-Horinek, Helen Knott, Caitlyn Vernon, and Sue Elrington. 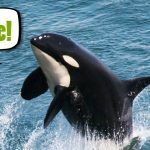 We stand at a moment in time where we are witnessing clear threats to our environment and our social structures. It is a moment that demands action, whether that be action to defend our civil liberties, our rights to security, our rights as women, or simply the planet. Women are at the forefront of resistance to these threats. Earlier this year, more than 4 million people took part in women’s marches around the world. Women are inspiring and being inspired. Some of their stories have been captured in Rachel Vincent’s When We Are Bold: Women Who Turn Our Upsidedown World Right. To encourage new and longtime environmental activists, in March Sierra Club BC invited Rachel to anchor an evening of storytelling based on the book. Helen Knott on protecting her ancestral lands from the Site C dam. 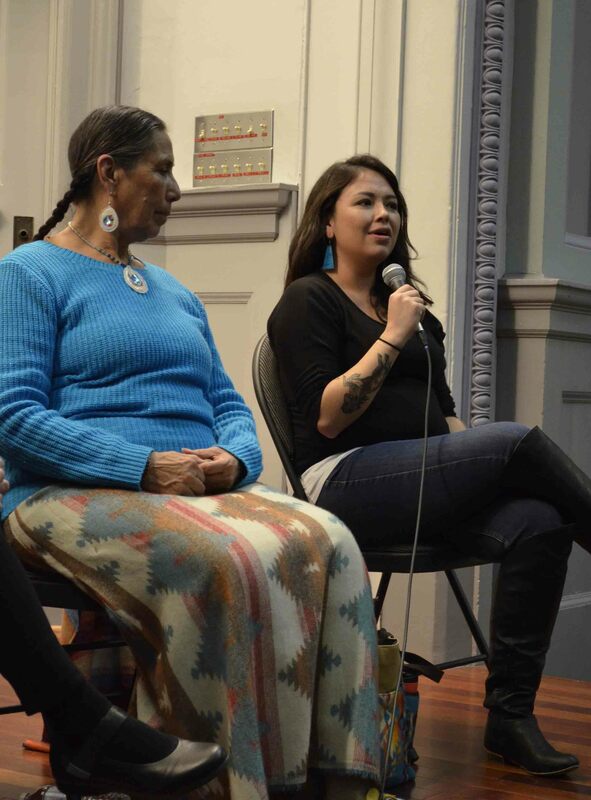 Joining Rachel Vincent were Casey Camp Horinek, a Ponca Elder in the midst of the Standing Rock battle, Helen Knott, a Treaty 8 poet and activist against the Site C megadam, and Sierra Club BC’s director of campaigns, Caitlyn Vernon. Rachel opened the evening talking about why so many women become environmental activists. In her work around the world, she repeatedly she sees women forced into activism to protect their homes, their water, and their agricultural land from extractive industries. That was certainly the case with Berta Cercares, the Honduran activist whose resistance so threatened the powerful that they murdered her in 2016. (Rachel read from a story by Berta’s daughter that is featured in When We Are Bold). Caitlyn Vernon, Rachel Vincent and Casey Camp-Horinek. 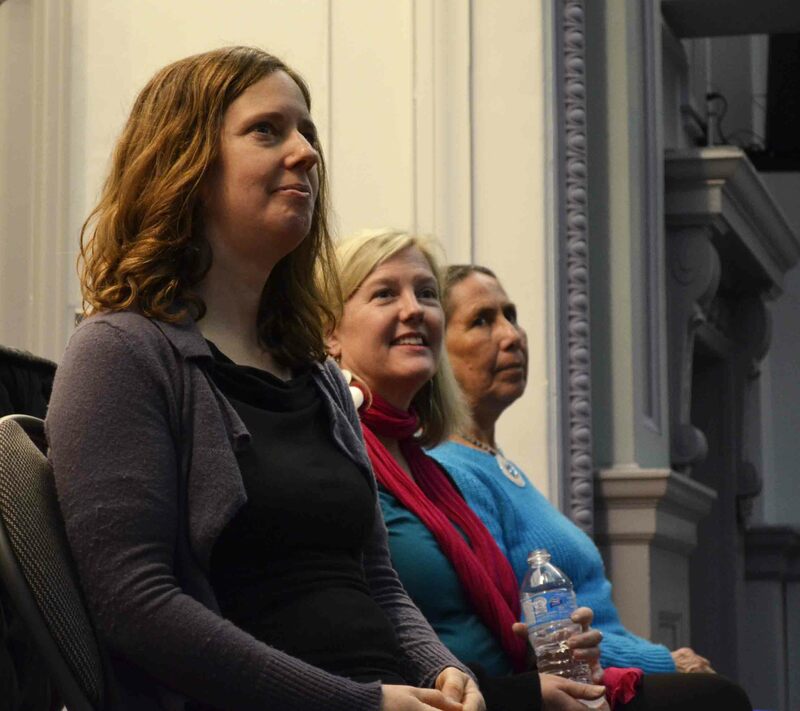 Caitlyn Vernon, Sierra Club BC’s director of campaigns, has never known a time when she wasn’t an activist. She felt Helen’s poem deeply, sharing her very personal experiences in her journey as a fierce advocate for the environment. In speaking of the condescension, ignorance, touching and groping from men who were supposed to be working with her, Caitlyn shone a light on the dual struggles of most female activists: the primary one—in her case, defending nature—and the second one, usually hidden from view, where women battle the very people we should be able to trust to have our backs in the big fight. But we persist. As an activist, you keep your eyes on the goal. For Casey Camp-Horinek, this has meant taking on new roles. Casey is a Elder from the Ponca Nation who describes herself first as a matriarch of her clan. She followed her sons to join the encampment at Standing Rock where she was arrested for nine days. Casey spoke eloquently about moving beyond inertia by finding new ways to act for the planet. She wants municipal governments to give nature the same standing and and the same rights in law as humans have. She has become a Council member to push this dream into reality. There was much talk throughout the evening regarding how, for so many women, their activist journeys started with conversations. Conversations around kitchen tables with neighbours that led to decisions to act. There is no act too small, no vision too big to take on. We just have to BE BOLD. “If we all stand together, there’s a beautiful way forward.” Casey Camp-Horinek shares about her experiences at Standing Rock and the importance of alliances between Indigenous and non-Indigenous peoples. Special thanks to Kirk Schwartz, MediaNet and Pacific Peoples’ Partnership for producing these videos. “If we all stand together, there’s a beautiful way forward.” Native rights activist, actor and Councillor of the Ponca Nation Casey Camp-Horinek on her experiences at Standing Rock and the importance of alliances between Indigenous and non-Indigenous peoples to protect the land and water we all depend on.Special thanks to Kirk Schwartz, MediaNet and Pacific Peoples' Partnership for videography, production and technical support. "It's crucial to start honouring those promises that were made. "Helen Knott is a writer, poet and mother fighting the flooding of her people's land by the Site C dam. She is of Dane Zaa, Nehiyaw and Euro descent. 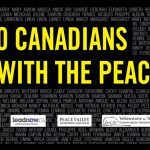 Help Helen stop the destruction — tell Trudeau to honour his promises to First Nations and suspend approval of Site C: sierraclub.bc.ca/stop-site-cSpecial thanks to Kirk Schwartz, MediaNet and Pacific Peoples' Partnership for video production. Feature image by Kat Zimmer.